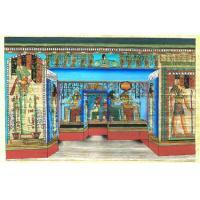 This colorful scene shows an array of goddesses from Ancient Egypt. 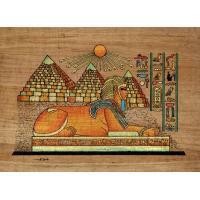 One the far right we see Isis with her cow horned crown (also worn by Hathor) seated on the throne. 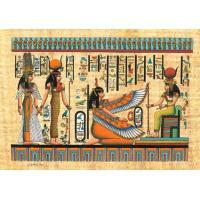 Isis is the sister-wife of Osiris and has magical and motherly aspects. 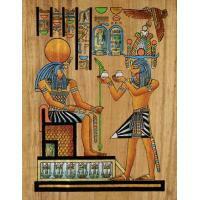 She holding the 'was' scepter of power and is giving the ankh (Key of Life) sign to the goddess Mat (second from the right). 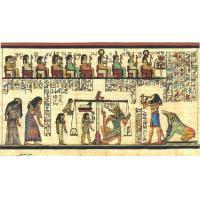 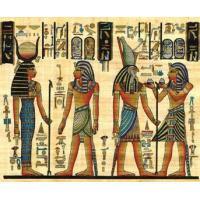 Mat is the idea of truth, justice and order and was very important in keeping the balance for the Egyptians. 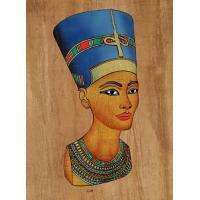 Without her the land would go into chaos. 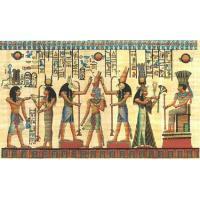 To her left is Hathor, goddess of love, music and joy. 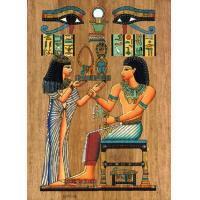 She wearing the menet necklace that associated with Mat because of the way it balances in the front and back. 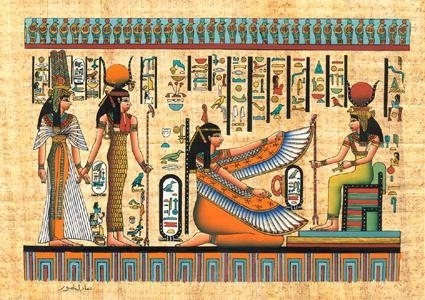 Finally to the far left is Mut, the vulture goddess who also had motherly aspects over the King. 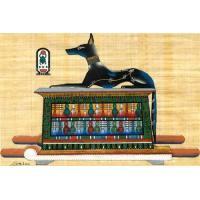 The size of this papyrus painting is approximately 14" by 17 1/2".